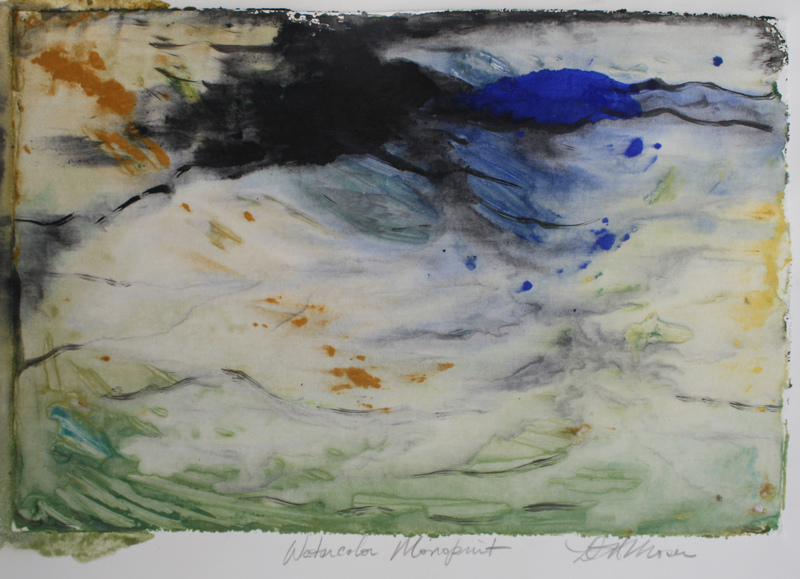 I was experimenting in the summer of 2014, with new printmaking mediums that were non-toxic. After drawing with Carandash watercolor crayons on the screen, the screen printing transparent ink base is squeegeed over the drawing, printing it onto the paper. 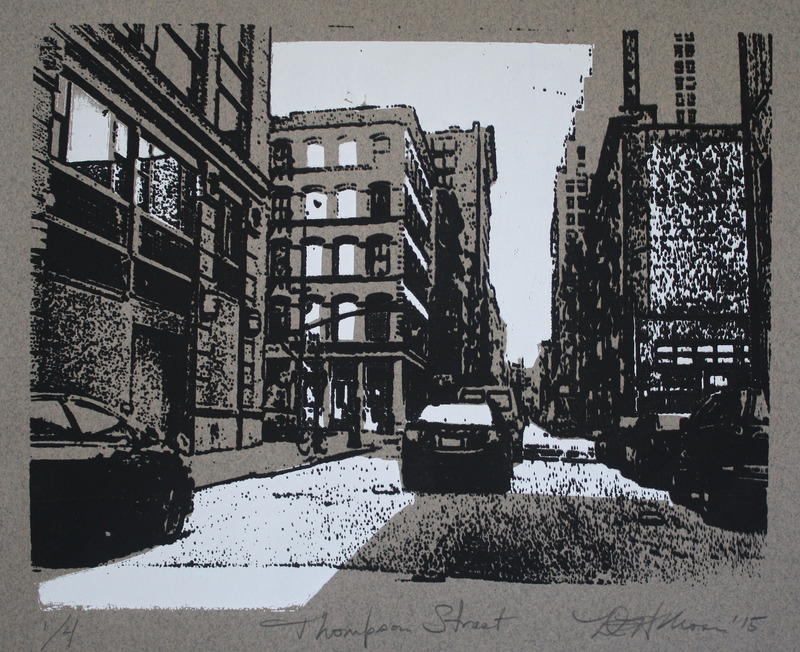 Two-color screen print on taupe paper, of Thompson Street, Tribecca area, New York City.